Now that Miva Merchant Version 9 is officially out in the wild, it's time to dig in and see everything new and exciting Version 9 has to offer. 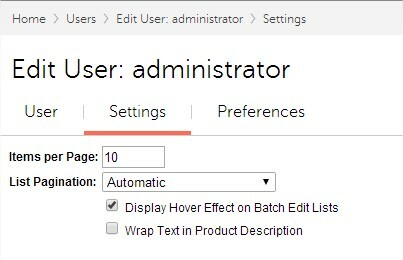 The biggest change in Version 9 is a completely new admin interface. Change is hard and we understand that, which is why the new admin UI is going to require some getting use to. However, once you learn the basics of the new UI elements, getting around, and working with the new batch lists you'll quickly be asking yourself how you ever lived without it. To help you with the initial learning curve, below are 10 tips to get you started off on the right foot. At first glance you may be asking yourself, "Wait, where is the left menu? How do I get to Products and Categories?" Don't worry you're not alone. The left menu was replaced by a new drop down menu that you can get to from the top navigation bar, by clicking the menu icon. Now you may be asking yourself, "I used to be able to get to those places within a single click, why did we bury them under levels of navigation?" The answer to that question is simple. Having a well thought out, logical structure to the navigation is much better in the long run, especially as we add new features and functionality. It is not feasible to simply keep adding navigation items to the left menu. And with the new bookmarks and search navigation (see more on both below), you can get to anywhere you need to get to in a single click. Everything can be customized to you and your workflow. If you use the Miva Admin on a daily basis then using the check + and check - used for selecting all records was probably second nature. In Version 9 select all is done a little differently. There are actually a few different ways to do it. The most familiar is going to be the keyboard shortcut of Ctrl + a (command + a on a mac). This keyboard shortcut will select all records on the current batch list you are on. In addition to Ctrl + a, you can click the first record in the list, hold shift then scroll down and click the last record in the list. This will select all records. There is a check icon on the top left of each batch list which looks like it would be used to select all records however it actually has a different use. Clicking this icon puts you in "multi-select" mode where you then use your finger (on a tablet) to select multiple records or drag your finger to select a group. This feature also works on a non-touch device using a mouse. When you click it will activate by showing a grey checkbox next to each record. Then you can simply drag down to select multiple records. Clicking a single record automatically puts you in multi- select mode as well so a click and drag will always work. You can also select multiple records by holding the control button and selecting any records you need. Another option is when in multi-select mode, click the grey checkbox for any records you wish to select. Select Any or All records and a CSV button will appear. 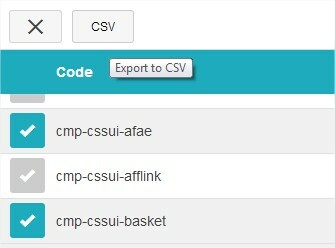 With a single click export all visible data to a csv file. Re-Sort columns based on the data you want to see. Click, hold and drag to its new location. Double click a record to do inline editing. You can even select multiple records and inline edit multiple at the same time. Use the Advanced Search feature to chain search filters to find exactly what you are looking for. The batch list by default implements infinite scroll. There is no pagination. However if you prefer pagination, there is a per user setting for it under "Users"
Any "tab section" in Version 9 can be bookmarked. This is done by clicking the red flag on the right side of any screen. This will add the page to your bookmarks (which is a replacement for the quick find links in version 5). Bookmarks essentially allow you to build your own custom navigation menu for the top pages you visit. If you manage products, create a direct link to products. If you're a developer, create a direct link to Pages. Bookmarks allow you to get to any area of Miva Merchant in a single click. Click the red ribbon on the right side of any page to bookmark it. 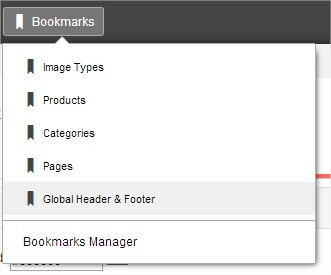 Access your saved bookmarks from any page using the bookmarks menu. 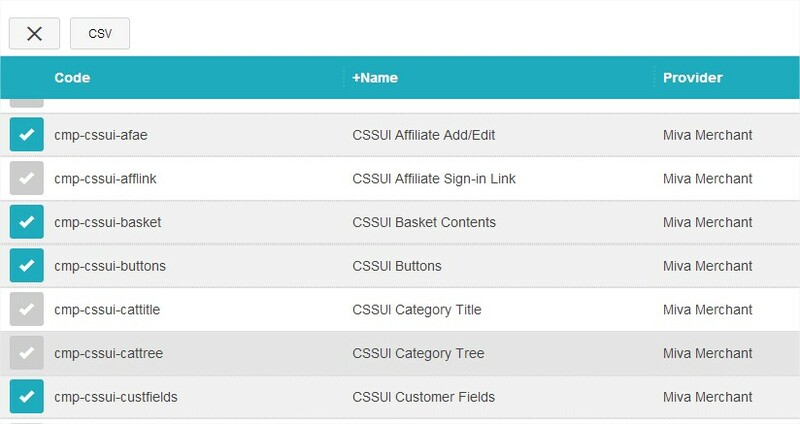 Wondering how to expand utilities and access its sub-menu? Well in version 9 there is no longer a + sign next to any menu to expand it. Instead, hover over utilities and click the arrow on the right (not the word utilities). There are essentially two menus in one here. This will expand to show a flyout menu of all the navigation items that are under Utilities. 6. What does this icon do? 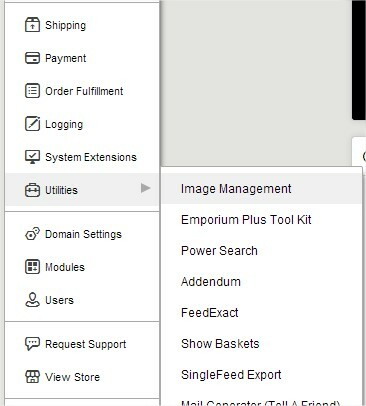 Version 9 introduced a whole new icon set used throughout the admin. Some of them are easy to identify what they do, like the + sign for add. However, if you hover over any icon you'll see a text popup telling you what the icon is used for. This is a quick and easy way to identify what that icon does. One UI element that takes a little getting used to is the menu options available to you on any batch list will change depending what you have selected. However, click a single record and a whole new set of icons appear giving you more options. If on any batch list you don't see an option that you know should be there, try selecting a record. The new global search nav can quickly and easily get you anywhere you want to go in a single click. 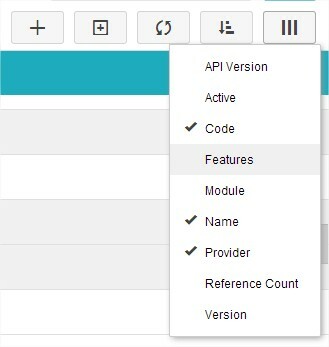 If you are in the Miva admin often, the search nav will quickly become your best friend. There is a keyboard shortcut to open it. Use alt + \ to open or ESC to close. Version 9 has an alternate layout for small / low resolution screens. Ideally you should not be browsing the admin in this limited view only. This will prevent you from seeing and using the search nav. If you are seeing this screen as soon as you login, try hiding some toolbars in your browser, or increase your screen resolution. It will make you Version 9 experience much easier to get around. 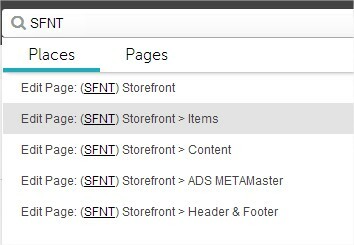 It is also important to note, that the screen specific search box only searches columns you have visible on the page. 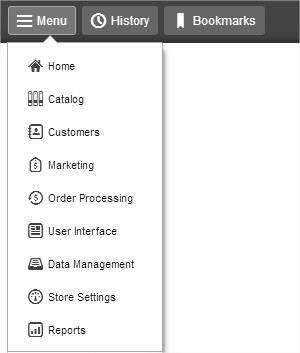 So if you want to look up an order by an order number or email address, make sure those columns are visible in the batch list by clicking the 3 vertical lines icon and selecting the fields you wish to see.